Yes, it was a little early, but it was just one of those things where we wanted to see plants growing in greenhouses! It was a lovely drive up and I have photos to go through which I will share. It was so nice to leave the fields of Tyvec wrapped McBoxes taking over Chester County and take in the fresh tilled fields and even a field full of little lambs! Now some of the fields were a little “ripe” as they had been spread with manure but we didn’t mind- it smelled like spring. It was so nice to see the rolling fields and farmhouses. Black Creek has amazing selections already. I bought a few plants (including some pansies), but mostly I got supplies. Gardening gloves, a new pair of pruning shears, the smelly lobster compost from Maine, twine, and so on. Black Creek is a place we just love. Not only are the plants incredibly reasonably priced, but it’s one of those places that you can find the old-fashioned annuals and perennials you don’t see any place else. It’s also my favorite place to buy herb plants for my planting beds. It was just so nice to see things growing! And I also got a Boston Fern for my family room! If you go, they are not open on Sundays and they will be closed on Good Friday. This old Chester County farmhouse was once considered historic. It was listed on a historic inventory too. And it was demolished anyway for development. In 2018 in East Whiteland Township. The house was on Bacton Hill Road across from the mobile home community and the ruins of Ebenezer AME Church and cemetery. 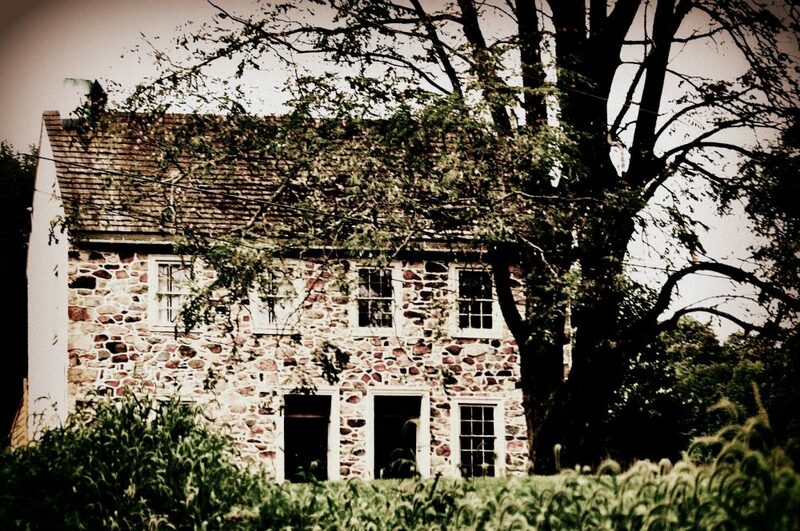 But hey, no biggie, just another dead and buried farmhouse in Chester County, right? After all, they are developing all of the farm land so who needs an old farmhouses right?